Baer Wealth Management is an independent Registered Investment Advisory firm. We offer full financial, business, and estate planning services to individuals, professionals, and institutions. Our goal is to protect our clients' assets and lifestyle, to help them enhance their current financial situation, and to guide them in planning for and achieving their future goals and objectives. Our services are meant to take the financial worries off of the shoulders of our clients. We act exclusively in partnership with high net worth individuals and corporate clients. We search to find solutions that are closely aligned with client needs and objectives, and we enjoy a deep, personal relationship with our clients. The buck stops with us, so to speak, and we have a strong sense of personal accountability to our clients. We maximize value for our clients by taking a unique and personalized approach for each individual. Our independence affords us the ability to evaluate and seek out what we believe to be the best solutions to one's complex financial situation. Thus, we are objective in arriving at our recommendations. The most important component of our firm is the people that we work with. The greatest satisfaction that we at Baer Wealth Management receive is from helping a client reach financial independence. This is unique to every client and it is our passion to help those we serve achieve their personal goals. Our shared incentives: we charge a fee based on a percentage of total assets managed. It’s simple and easy to understand, helping to avoid surprises. Kenny has nearly 15 years in the wealth management/financial planning fields, having joined Baer Wealth Management shortly after graduating from college. Kenny's work has been published in Investment Advisor Magazine, Nerd Wallet, Ignite/Fund Fire, and Chattahoochee Plantation Living. He has previously hosted the weekly financial talk show The Baer Facts on Atlanta's Newstalk 1160 am, had a regularly scheduled segment on The Voice of the Arts 1690 am and has been a featured guest on Atlanta Business Today. In 2017, he published the e-book "One Shot" which can be read here. Life Focus: Relishing his family, golfing with his father and brother, playing tennis and enjoying life to the fullest. Kenny loves the University of Georgia Football and can recite the score of most every game attended. After several years in commercial banking as an underwriter and analyst, Mark decided to pursue a career that would allow him to combine his passions for financial planning and helping others. His inspiration comes from his parents. From an early age, he learned from his mom who has spent her entire career in banking, including lending to businesses of all shapes, sizes and industries, while his dad owns and operates a successful business. Mark especially enjoys helping business owners tackle many of the challenges they face, having experienced it first-hand in his family. 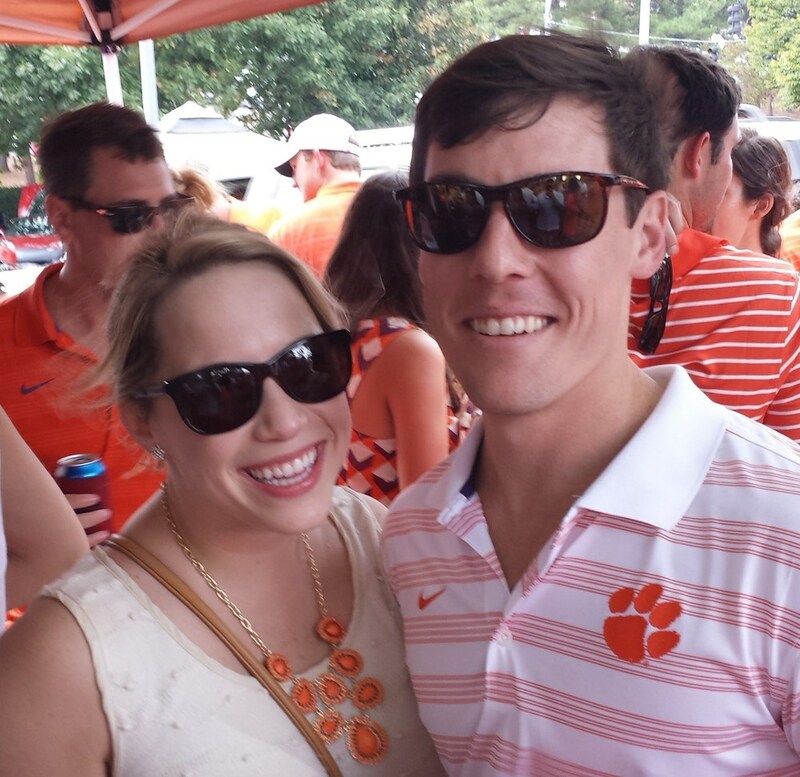 Mark graduated from Clemson University in 2011 with a major in Accounting and a minor in Finance. In 2015, he completed the Executive Program for CFP® Certification at the University of Georgia's Terry College of Business. Life Focus: Mark enjoys living in Historic Roswell with his wife, Lindsay, and dog, Banks. He is an avid Clemson Football fan and enjoys golf, traveling, paddling the Chattahoochee River and running/hiking with his dog. Bill founded Baer Wealth Management and has spent over 35 years in the financial planning business. Bill believes that communication and interaction with his clients on a regular basis are the keys to understanding their financial planning needs and assisting them in realizing their dreams and aspirations. He has extensive experience working with both traditional and alternative investment managers. Bill has been a contributor to Investment Advisor magazine and has been a featured guest on Atlanta Business Today. He also co-hosted the Baer Facts on 1160 am with his son Kenny Baer, CFP®. Bill has previously served on the Board of the National Association of Financial Professionals. Life Focus: Golfing, working in the community, spending time with family, and traveling. An avid Atlanta Falcons, Atlanta Braves, and all things Atlanta sports fan. Bill is also a passionate supporter of the University of Tennessee.